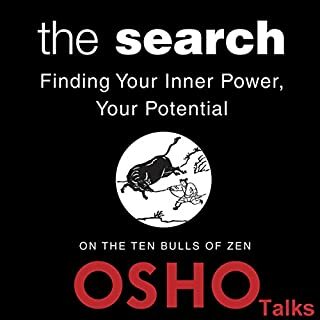 Osho is known around the world for his pioneering contribution to meditation - the science of inner transformation - with the unique approach of his "Osho Active Meditations" acknowledging the accelerated pace of the contemporary world and bringing meditation into modern life. 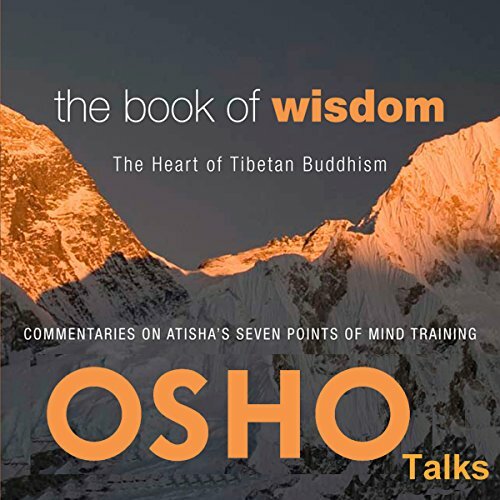 Based on the Seven Points of Mind Training by the 11th-century Buddhist mystic Atisha, The Book of Wisdom removes the dust of tradition that has gathered around meditation, conveying the essential science and methodology of the practice with a freshness and spontaneity that is rarely found in contemporary spiritual works. 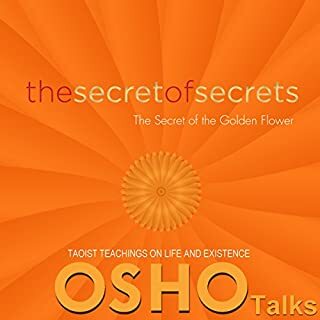 The book is a guide for inner discipline and transformation that is also highly accessible, incorporating light, often humorous question-and-answer sessions between the author and his audience that help listeners make the practical connection between spiritual theory and meditation as a lifestyle. 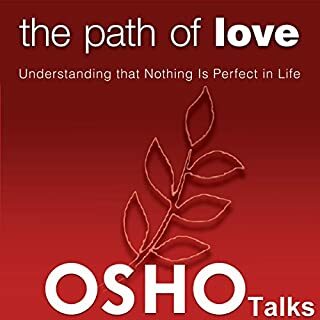 In 28 talks alternating between commentaries on Atisha and responding to questions, Osho takes us into a world of wisdom. 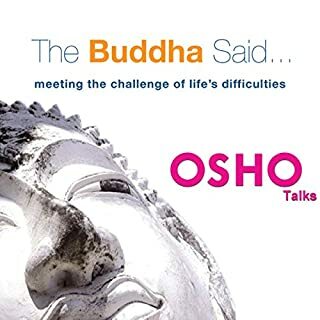 Osho at his best given discourses about Buddhism based on Atisha's sutras. His interpretation is very inspiring and helpful for inner transformation. Covers a full range of practical wisdom. And the jokes are great too. Well worth the price. I'm in love with OSHO. I take what I need and leave the rest, but most of it is a precious gem. I'm so grateful for his message and gift to my enlightenment. Just one word...AMAZING!!! It’s worth a second and a third listen. Just pure poetry. I wish i would have learned who he was before buying. And that way of talking is sooo ugh. "The buddha said" was more captivating for me, but I don't feel like giving this less than 5 stars either way. The heart of the Tibetan tradition cuts straight to the Heart of the Matter. 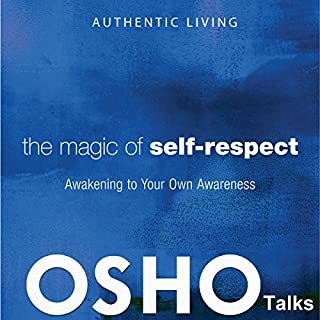 Osho‘s insights are once again provocative, comprehensive (with references to a range of spiritual teachers and traditions including Sufi and Christian mystics and Zen master) and clear. Highly recommended for anyone wiling to approach the teaching of this controversial “spiritual contrarian” with an open and receptive heart and mind.When the student is ready, the teacher will appear”. Enough for today ;). This is Osho being Osho in depth sharing wisdom, wit, and humor. I highly recommend this book. This book is alive like a beautiful rose flower!!! An absolutely wonderful book of wisdom. Osho makes you smile with his beautiful delivery of wisdom. A must for those on the spiritual path. You will not regret it. This was amazing experience. Very insightful and very funny. It is always a delight listening to Osho. Peace, love, intelligence and humour. Osho, perhaps a man with the greatest sense of humour I know, is something that no words can do justice to describe. Consider me a sanyasin, an Osho follower. Everything he says speaks to me, I feel like I've belonged for the first time in my life. The theories Osho speaks of are exactly what I have always felt but not always had the opportunity to say. An incredible addition to humankind. OSHO - Never born, Never lived, Never died. Existed on earth between 1939 and 1990. Amazing, enlightening, provocative and in parts very amusing. A glimpse into the mind of the enigmatic Bhagwan: prepare to be rudely awakened and abandon eveything you think you hold sacred.